When rhubarb starts to appear in the grocery store, it can mean only one thing, it’s Spring. 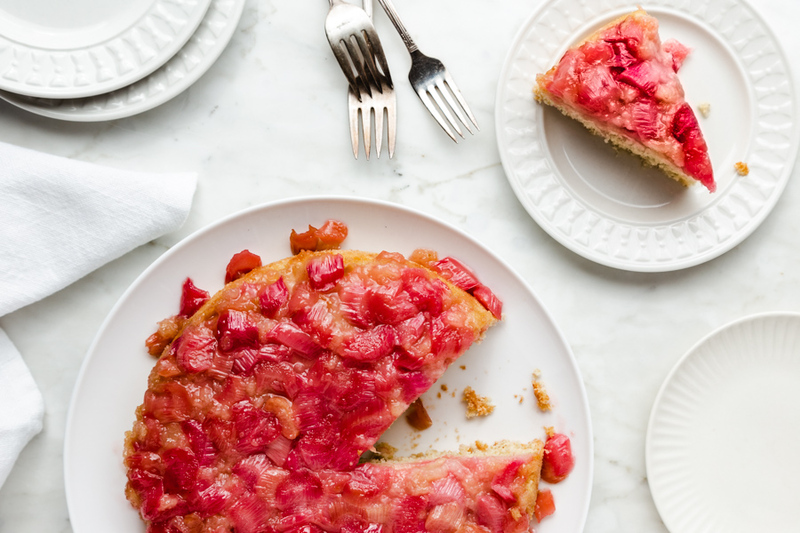 This simple recipe for a not-too-sweet rhubarb upside down cake is the perfect way to celebrate the season. 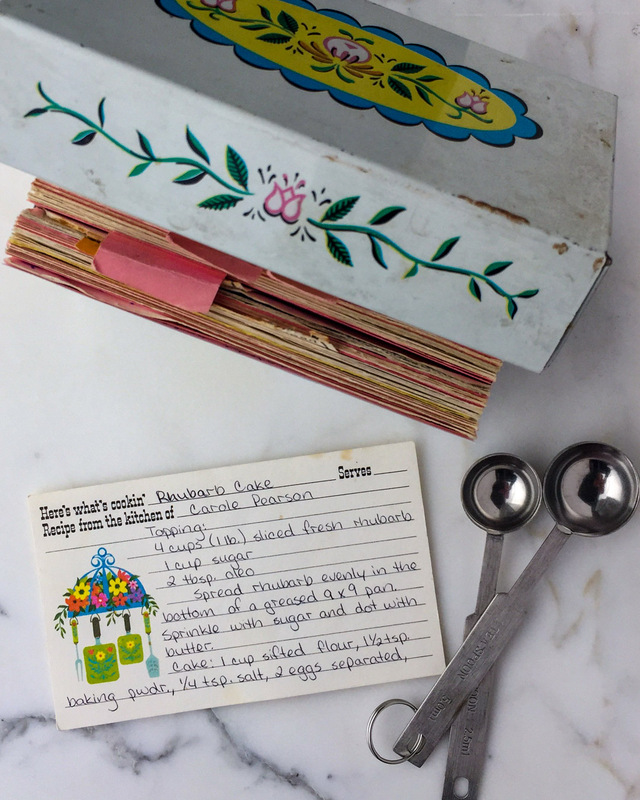 I imagine Carole pulling this recipe card out the minute that there were enough stalks on her rhubarb plant to produce the 4 cups of sliced rhubarb called for in the recipe. I also imagine her family’s delight as the aroma of the sweet cake and tart rhubarb wafted through the house announcing dessert for that night’s supper. I have never met Carole. I only know her through the recipe she penned for the owner of a recipe box that fell into my care when I purchased it at an estate sale. But I can tell you Carole’s recipe for rhubarb cake is every bit as delicious as it is easy to make. I don’t recall a time when my mom’s garden didn’t have a rhubarb plant in it. As a matter of fact, it seems that all my friend’s parents gardens also had rhubarb. Maybe it was so popular because it provided something fresh and bright in the spring after the long Montana winters. It really is a beautiful plant with its bright red stalks and gigantic, almost prehistoric looking, leaves, which by the way are poisonous. Introduced to America by a Maine gardener this hardy, easy-to-grow plant flourished. Pioneers traveling west, dug up rhubarb roots, carefully wrapping them in burlap to bring on the long journey to a new life. I suppose that the rhubarb not only provided some sustenance, but a reminder of the more tame world left behind. Although this plant is technically a vegetable, it is used more often as a fruit. So much so that in 1947 a US court in Buffalo, New York ruled that it should be considered a fruit. Now that you have some background on this spring darling, let’s talk about Carole’s Rhubarb Cake recipe. Although she doesn’t call her cake an upside down cake, that is precisely what it is. As with any upside down dessert, you start by layering what will be on the top on the bottom. So the sliced rhubarb goes in along with the requisite sweetener, in this case, white sugar, and a little bit a butter to make the wonderful, sweet glaze. It seems like it would be just as easy to mix the rhubarb with the sugar and then pour melted butter over and mix it in. But there is something sacred about the process that the maker has documented. I feel like making a wholesale change like that is sacrilegious. So I followed Carole’s instructions as written. The cake portion is made using the sponge method with a little bit of a twist. Once the eggs and sugar are beaten together, warm water (that’s the twist) is added to the mixture and beaten until it’s light and foamy. The dry ingredients are then stirred in, including an addition by Carole that I really like – wheat germ. It adds this nice little bit of texture to the light sponge cake. The last step is to beat the egg whites until they form stiff peaks and fold them into the egg yolk mixture. Pour the batter over the rhubarb in the cake pan and bake until done about 50 minutes. I like to rotate my cake 1/2 way through the cooking time because I have a hot spot toward the back of my oven. Once a toothpick or cake tester comes out clean, cool the cake on a cooling rack for about 15 minutes. Don’t let it cool completely or it will stick – sad 🙁 Place a serving plate over the cake pan and turn the pan and plate over at the same time. And voila! Your gorgeous culinary celebration to spring. 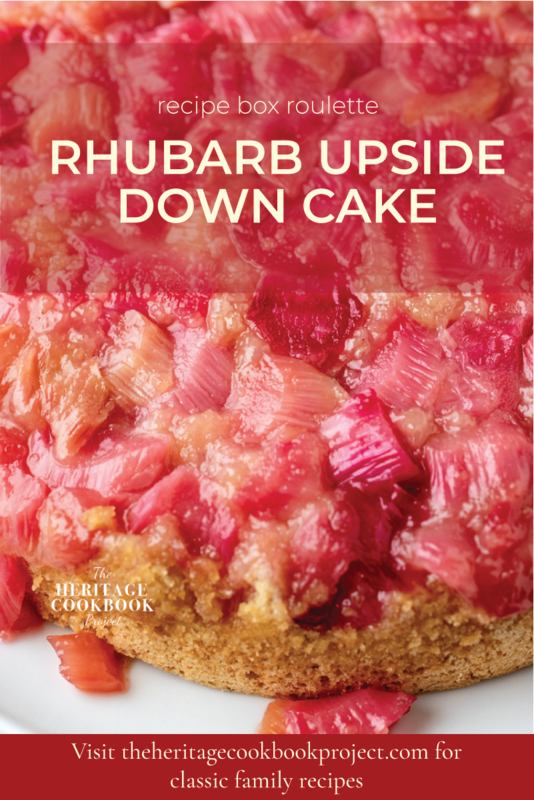 Rhubarb is the quintessential harbinger of Spring and Carole’s Rhubarb Upside Down Cake is the perfect culinary celebration of the season. Spread the sliced rhubarb over the bottom of the pan, sprinkle with the sugar and dot the butter and set aside. Add the egg yolks to the bowl of a stand mixer. You can also use a hand mixer if you prefer. Fit the whisk attachment to the mixer, and mix the egg yolks on low until combined. With the mixer on medium speed, gradually add in the sugar. Increase the speed to high and beat until the mixture is light in color, 4 - 5 minutes. With the mixer on low speed, add the hot water slowly, beating well. When you lift the whisk out of the egg yolk mixture, the mixture should all in a ribbon pattern. Stir in the bran and vanilla then add the flour mixture and mix well. Transfer the yolk mixtures to a large wide bowl. Add the egg whites to the clean bowl of your electric mixer. Beat egg whites on medium-high until frothy. Increase speed to high and beat until the eggs are glossy and forms stiff peaks, about 4 minutes. Remove 1 cup of the egg whites and vigorously fold into the batter. Gently fold in the remaining egg whites, running a rubber spatula down along the bottom of the bowl and lifting up through the center and over the top as you rotate bowl. Pour the batter over the top of the rhubarb and bake in the center of the oven for 50 minutes or until the top of the cake is firm to the touch and a toothpick or cake tester stuck in the middle comes out clean. Place the cake on a cooling rack, and cool for 15 minutes. Run a knife around the edge of the pan, place a plate over the pan and turn it upside-down. If the cake cools completely, it will stick to the pan. I must admit I’ve never had any kind of rhubarb cake! I do love cake though, and would love to try your recipe next time I’m hosting something. Thanks so much for sharing this! If you are a cake lover you will definitely have to give Carole’s Rhubarb Cake a try. The contrast between the sweet cake and the tart rhubarb is amazing! This is so amazing! Going to use this for Easter and I’ll let you know what the kids say! Super. Can’t wait to hear what everyone thinks. PS it will be beautiful on the Easter table. Oh wow! That was amazing! It looks so delicious and I am sure my son would love this cake! Recipe saved! So excited that you stopped by and saved the recipe. Hope your son enjoys Carole’s recipe. I hope you give Carole’s recipe for rhubarb cake and try. It is so good. What an interesting recipe and I never use rhubarb in my life. I have seen rhubarb in the supermarket when I was living in Australia but not often seen in Asia, now that I am living in Asia. I am super curious about how they taste like, especially use it for dessert. Rhubarb is very tart. By adding sugar and using it in a dessert, you end up with a sweet tart treat. Honestly I was never a big fan of rhubarb. However, saying that, this cake looks so delicious and a little different too! Great photos and easy recipe. I think that Carole’s recipe will make a rhubarb convert. Thank you for your kind words. Wow, this rhubarb cake looks ever so delicious! I love rhubarb but don’t have it very often. I hope you give Carole’s recipe a try and enjoy it. Thank you Pati. I hope you enjoy Carole’s recipe. My bff loves to bake and looking for her next cake recipe to try. 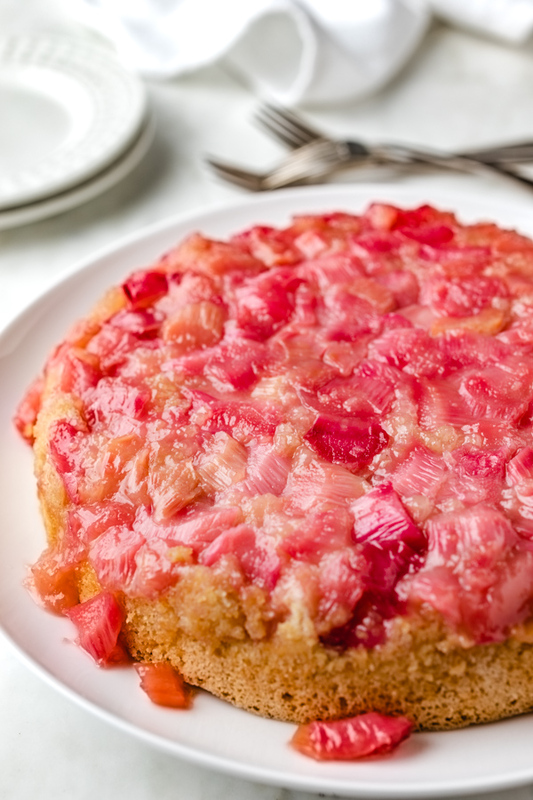 I will share this link to her and she’ll definitely be thrilled for this Rhubarb Cake recipe. Thank you Chelle. I hope you friend loves Carole’s recipe as much as I do. It was lovely reading your Rhubarb cake preparation experience. I have eaten it few times and so can well understand your feelings and yes the end result always gave me satisfaction. Thank you Kalyan. I love rhubarb and Carole’s cake recipe is so good! I can’t wait until my local grocer has rhubarb available! 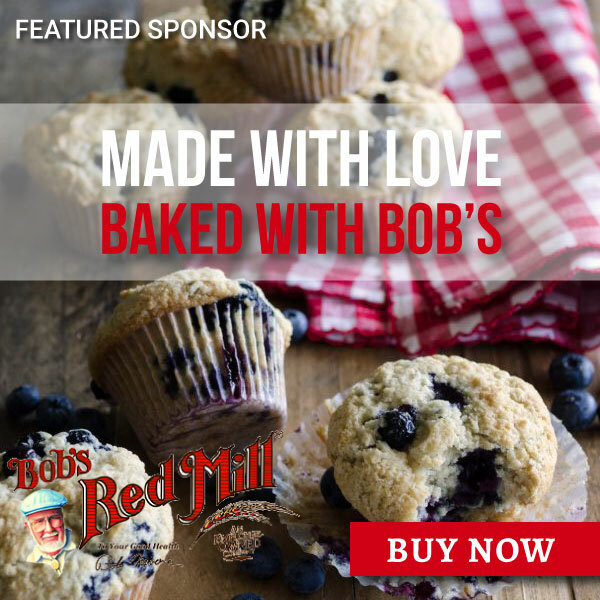 I just love baking with it and this upside cake looks lovely! I’ve only had rhubarb in pie…definitely need to try this! I know, I was so excited when this recipe card came up. I have had rhubarb in pie, in jams and compotes but never in a cake. And Carole’s recipe is delicious. I look forward to hearing if you try it. I want some. That looks so delish. Looks pretty too. I don’t think I ever had rhubarb cake yet. Thanks, Garf. It is delcious. Hope you give it a try. I honestly never heard of rhubarb before, i would really love to try it. I am a sucker for trying new things. I wonder from where i can get it. This is such a delicious recipe. Let me know how it turns out. I’m a sweet-toothed person and your pics make me drool. Honestly, this is the first time I have come across rhubarb cake! Never knew we can add it to desserts.. Thanks for sharing the recipe. So glad that you stopped by and that the pics are making you hungry. Give the recipe a try and let me know what you think of rhubarb in a dessert.